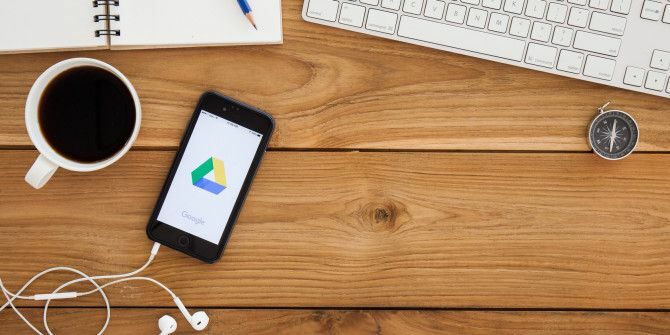 Google Drive How to Organize Your Google Drive Like a Pro How to Organize Your Google Drive Like a Pro Google Drive's biggest benefits are its advanced search features. They can help you sort and organize your files and you'll always find what you need! Read More is an awesome tool for managing your documents, spreadsheets How To Import Data From Other Google Spreadsheets How To Import Data From Other Google Spreadsheets Most users only use a small fraction of Google Spreadsheet's potential. Do you know how to get information from one Google Spreadsheet into another? Here's a cell function to do the job. Read More , and all kinds of other files. In terms of features, it rivals Microsoft Office, but it doesn’t cost a penny. Another thing that makes Google’s document tool so great is the ability to collaborate 8 Free Tools to Work & Collaborate Online from Your Home 8 Free Tools to Work & Collaborate Online from Your Home Working from home can be a convenient setup, thanks to its flexibility. But online collaboration with clients and teams can quickly become complicated and stressful. We show you free tools to build a reliable workflow. Read More with others. You can share documents with them, and they can do the same with you. You can hammer our ideas together in real time, which is great for remote workers. There are great search features in Google Drive that let you find anything, whether you created the document or it was shared with you. If you’ve ever found yourself looking for a document with a name you can’t remember, but you are able to remember who shared it with you, you can click on the Shared With Me section in the menu on the left side of the screen. From there you can scroll through the docs created by others. If that list is too big, you can use Google Drives search function to type in the name of a collaborator instead of a file name, so if all you know is with whom you’re working, you’ll be able to find the document and get back to work! What do you use Google Drive for? Have you stopped using Microsoft Office? Let us know in the comments! I started using drive three years ago because it is great to share documents and spreadsheets. The fact that it is free to use makes it easier to share with people outside my organization. Now I use a chromebook for most of my work and I don't have to care about backups. I use Microsoft Office applications but when it comes to online storage, I use Google Drive. It is so conveniently linked with my gmail account.